Zestos: Enabling life through communication of research: Cell phone ban in car - are they really that bad? This post is right on the edge of wellness..... but is a passion of mine so please indulge me. I am all for public education and creating laws to help prevent people from injuring them selves. These however should be based upon firm statistics. Unfortunately often the law makers do not seem to understand this. 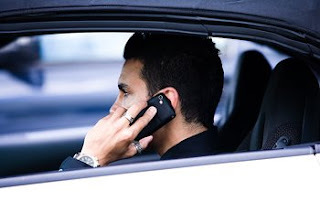 In 2007 cellphone use contributed to 94 out of 11,667 crashes. That is 0.8% of crashes. And only 3.2% of crashes are fatal, so that suggests three fatal crashes a year have cellphone use as a factor (that does not mean no cellphone use would have resulted in no accident – there are often many factors). So are we going to ban radios? Are we going to ban passengers? How about banning animals – that may stop 30 crashes a year. These statistics make sense to me. I am aware of the alarming numerous times I am changing a CV, or turning in the radio etc and I suddenly realize that I can't remember driving for the last few seconds, or 10's of seconds, I had been driving on subconscious only! Scenery also gets me. I really enjoy admiring God's creation. It seems to be ever changing.... right know I am enjoying looking at the structure of deciduous trees. They all look so different and so beautify. Next month it might be clouds or blossoms. Either way I am very aware that sections of my commute into town is "missing" bits as I got sidetracked. Passengers - I have always said to Tiffany that kids are much worse distraction than cell phones. Nothing like having a screaming or fighting children when you are the only adult in the car to completely destroy any focus on the road! Banning cell phones will not actually fix real problems. We need to learn as a culture not to drive while distracted. Program in the radio in a rest area. Stop the car when the kids are going awok. I suspect most people are like me - they keep on driving while distracted.